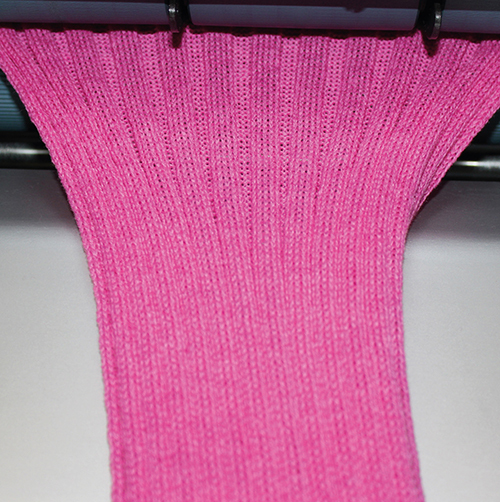 The knitted fabrics for STEFFNER garments are produced with modern, electronically controlled knitting machines. 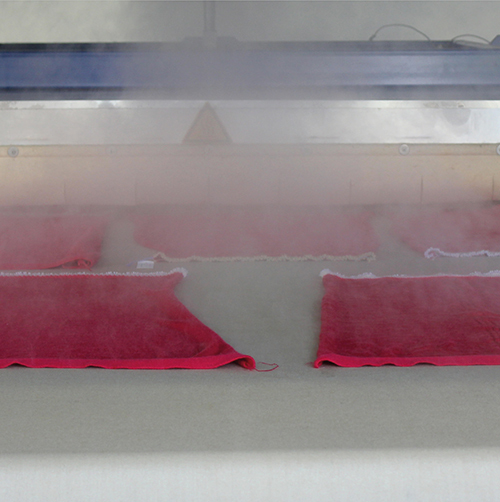 STEFFNER knitted garments are fully-fashioned and manufactured with state-of-the-art knitting machines for economical (low energy consumption and reduced production time) and ecological (no waste of highquality natural materials) reasons. 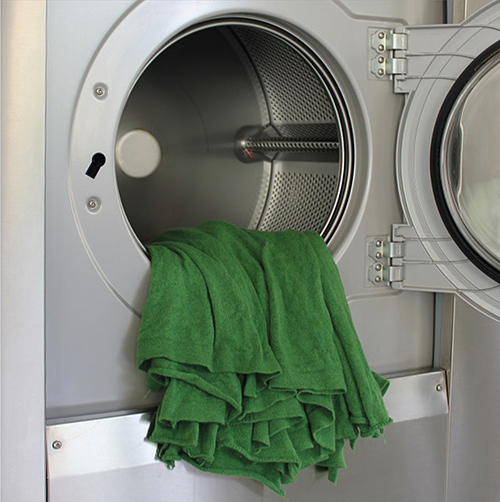 If required by materials technology, STEFFNER knitwear garments are wet processed in modern, freely programmable washing machines, using special ecologically sound processing techniques for a firstclass appearance and outstanding wearing comfort. 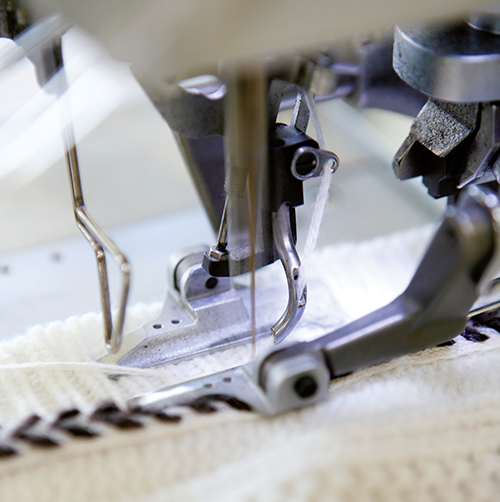 STEFFNER knitted garments are ironed to the highest quality and technological standards using state-of-the-art ironing machines to ensure a high usability and excellent appearance of all top-quality STEFFNER knitted garments. 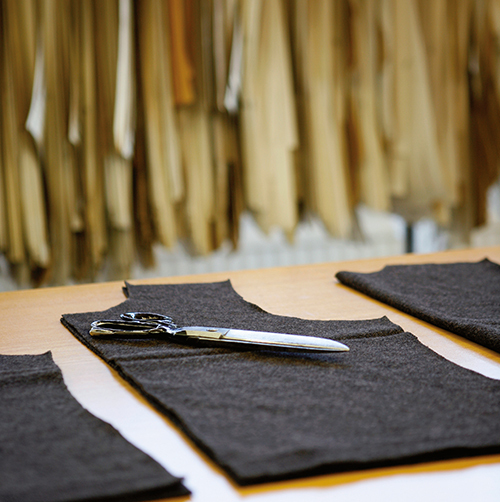 The knitted pieces for STEFFNER garments that are not fully-fashioned are precisely cut, following the latest fashion trends. 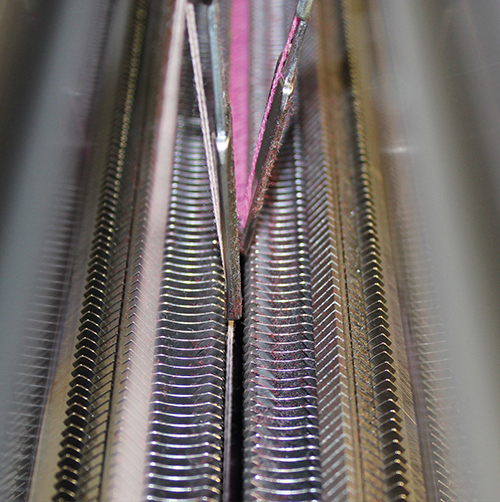 The individual pieces of a STEFFNER knitted garment are assembled on special machines in line with the high STEFFNER quality standards. Advanced, precise and highly efficient special machines – e.g. 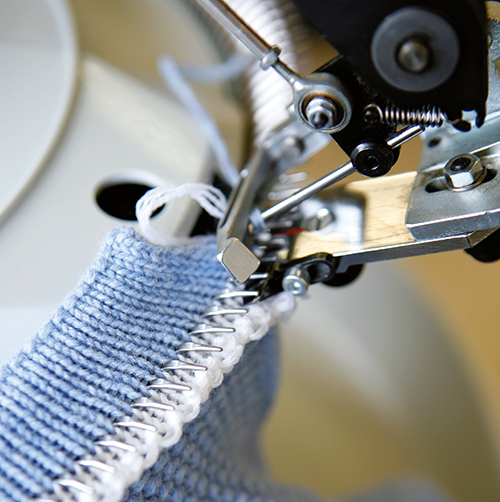 for the manufacturing of buttonholes – ensure perfect workmanship of all STEFFNER knitted garments. 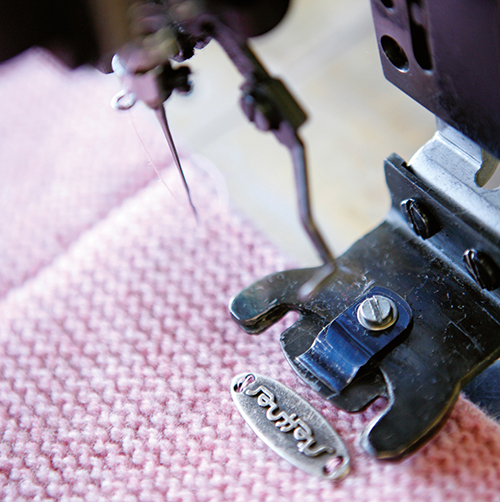 The STEFFNER brand label with the typical STEFFNER lettering, which is protected by international trademarks, is applied by automated sewing machines as trademark and quality symbol for high-class STEFFNER knitted garments.